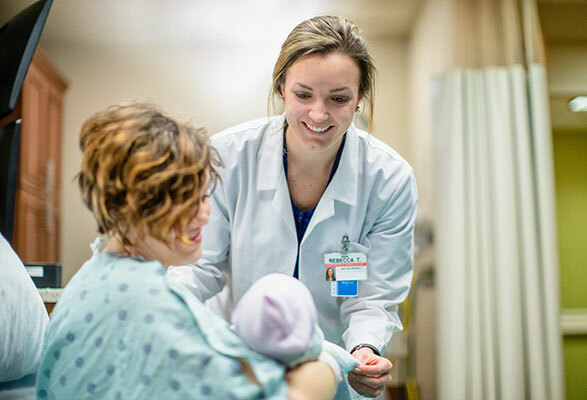 The health care industry is exploding—and BJU’s health sciences program is perfectly positioned to help you become a skilled, compassionate health care professional. You’ll gain a holistic view of health as your professors help you connect the dots from class to class. You’ll also be challenged think through complicated issues and apply biblical ethics to real-world questions before you enter your field. 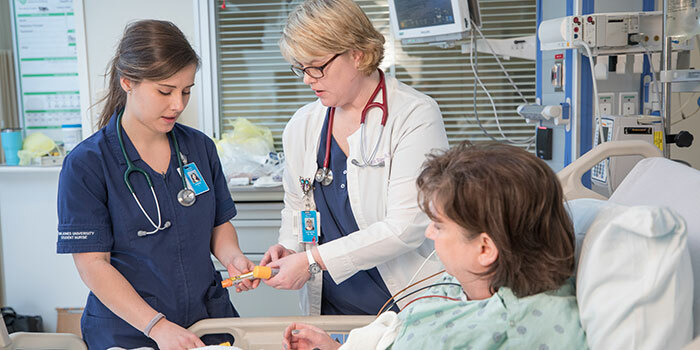 As you choose one of the seven concentrations, you’ll be able to create a program customized for your health career goals—and find a world of opportunities open to you when you graduate. With the science knowledge, research skills and lab experience BJU provides, our graduates are prepared for countless opportunities. 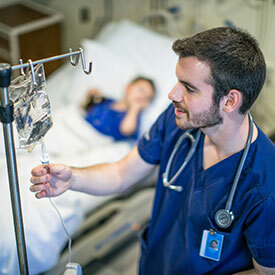 A health science degree can lead to hundreds of careers in the scientific and medical fields, including positions in hospitals, outpatient facilities, medical labs, research institutes, and industry and forensics labs. While there isn’t one main career path that health science prepares you for, it will prepare you for your next step, whether that’s graduate school or employment. 8 of the top 10 jobs in 2018 are in the health care field. While working as a paralegal, I’m currently pursuing two master’s degrees, one in Biomedical Ethics and one in Healthcare Administration. I realized that BJU prepared me far beyond what I could have asked for and I believe that the strenuous education there has greatly contributed to my success in graduate school. One of the aspects of my BJU education that I am most thankful for was the strong emphasis on professionalism in everyday life. I believe that my education from BJU as well as the exposure to community involvement through the Health Sciences program allowed me to feel confident in myself while entering the professional workplace and becoming a part of the community. Having a role in the Health Sciences Association at BJU prepared me for my current job and also for future jobs in the health care administration field. Working with our small group of students that lead the association of health sciences while also having administrative responsibilities for the functioning of the group gave us all a glimpse of how team work and communication is an integral part our jobs. With more than 100 distinct health care careers in the world today, the health care industry is incredibly broad, and finding your way to the right career can be challenging. 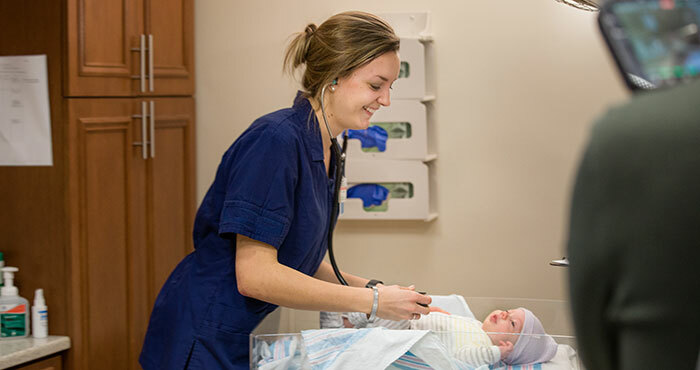 BJU’s health sciences program is specifically designed to help you navigate to the career of your choosing. This program also provides excellent preparation for a wide variety of graduate and professional programs including health services administration, optometry, pharmacy, and physical and occupational therapy programs. Your first semester you’ll start by taking a broad survey of the health care industry. This course will survey present career options, explore emerging fields and, most importantly, help you map out a path to the career you wish to pursue. You’ll also partner with a faculty advisor for your entire four years of study, and he or she will work closely with you to choose electives focused on achieving your academic and career goals. To effectively minister as a medical professional, you need more than just math and science skills. Core courses like Bible, communication and philosophy will equip you to compassionately work with people from all walks of life. 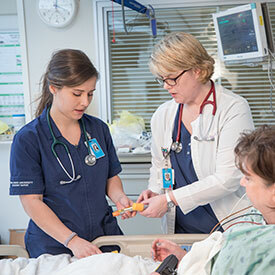 We’ve designed the health sciences program to be extraordinarily flexible. Besides an abundance of biology, chemistry, and health care electives, there are additional credits of electives so you can tailor your preparation to your intended career. You’ll work closely with your advisor to customize your program. Practicing medicine requires real-life experience. 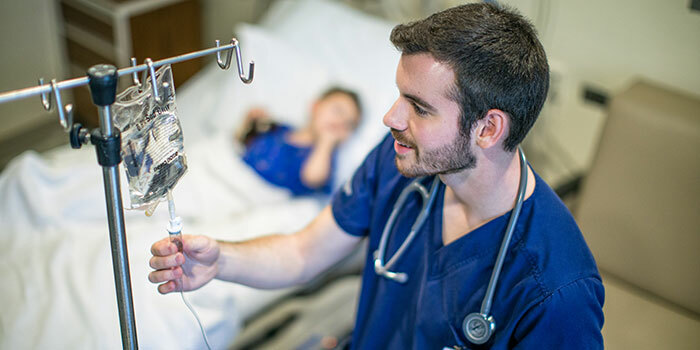 BJU’s Student Medical Internship gives all premedical and predental students the opportunity to apply what they have learned to real-life settings. Not only does the experience help you make informed career and education choices, but it is also essential for admission into MD, DDS, and PA programs. Premed students complete a 40-hour internship through Greenville Health System’s multiple campuses. Predent students complete a 40-hour internship observing various dentists within the greater Greenville area. Greenville Health System has a new summer educational opportunity: MedEx Academy. The Academy is an initiative to support students’ exploration of health-care careers and advanced training in health care. Internships in the Academy are competitively pursued by students from many universities in South Carolina and North Carolina because they are designed to give premed students a paid opportunity for shadowing, assisting, MCAT prep and research experience. The Health Sciences Association exists to provide students with an opportunity to develop leadership skills and have a larger vision of the many facets of health sciences, to make students aware of current trends and issues within the different health sciences fields, to allow for more interaction between students and experienced professionals, to develop community relations to encourage more opportunities for student and community growth and development, and to urge students on to a closer and deeper relationship with Christ. Jessica Minor holds degrees in biology and bioethics and a PhD in health care ethics. Joining the BJU faculty in 2014, she is passionate about both medical ethics and the medical field. She is also a member of the St. Francis Hospital Ethics Committee. Develop a philosophy of health science practice that is biblically sound, scientifically supported, and consistent with best practices in the field. Describe the foundational relationships that exist between structures, processes, and information in biological systems. Apply the relationships between anatomy and physiology of the human body, and make correct predictions of the failure of homeostatic mechanisms. Apply the fundamental principles of chemistry, especially as they relate to the health sciences. Apply the principles of health and health promotion, especially as they relate to the health care system. Develop a philosophy of health care administration that is biblically sound, scientifically supported, and consistent with best practices in the field. Apply the principles of health promotion and disease prevention within the context of the health care system. Analyze the influence of cultural, social, and economic factors on health practices from an individual and population health perspective. Analyze the components of health care delivery through a systems-level approach. Apply appropriate business principles to decision-making within the health care industry. Assess the essential nutrient needs of the human body for maintaining health across the lifespan and for preventing disease. Advocate principles of sound diet planning based on scientific principles and personal practice. Develop a philosophy of pharmaceutical science that is biblically sound, scientifically supported, and consistent with best practices in the field. Apply the fundamental principles of chemistry, especially as they relate to the pharmaceutical sciences. Apply the principles of health and health promotion, especially as they relate to the appropriate use of pharmaceuticals within the health care system. Develop a philosophy of physical therapy practice that is biblically sound, scientifically supported, and consistent with best practices in the field. Analyze the foundational relationships that exist between structures, processes, and information in biological systems. Apply principles of human physiology to exercise and exercise therapy. Relate basic physical concepts of force, levers, torque, tension and impulse to human anatomy and physiology. Develop a philosophy of medicine that is biblically sound, scientifically supported, and consistent with best practices in the field. Analyze the interrelationship among basic life processes and substances from a biological and biochemical perspective with emphasis on the role of information and energy transduction. Apply the relationships of structure and function within the anatomy and physiology of the human body, and make correct predictions of the failure of homeostatic mechanisms. Apply the principles of health promotion and disease prevention within the context of health care. Interpret and critically evaluate experimental data in laboratory and literature environments and articulate appropriate conclusions. Develop a philosophy of public health that is biblically sound, scientifically supported, and consistent with best practices in the field. Analyze the interrelationship among basic life processes and substances from a biological perspective with emphasis on disease transmission and progression. Apply the principles of health promotion and disease prevention within the context of community health.